An ideal way to congratulate the new parents on the arrival of their new baby girl. A perfect choice to celebrate the latest little lady in their life. 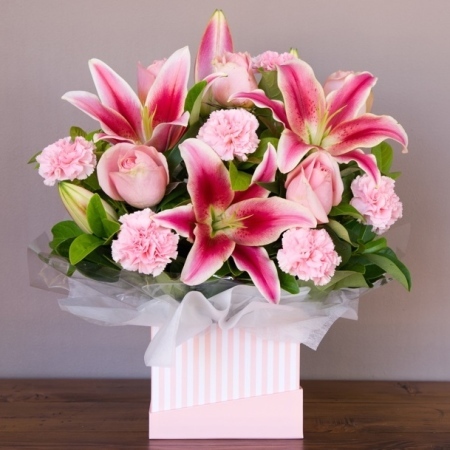 This box arrangement is the prettiest selection of sweet smelling pink lilies and pink roses.